SUBMIT A MISSING EVENT HERE! 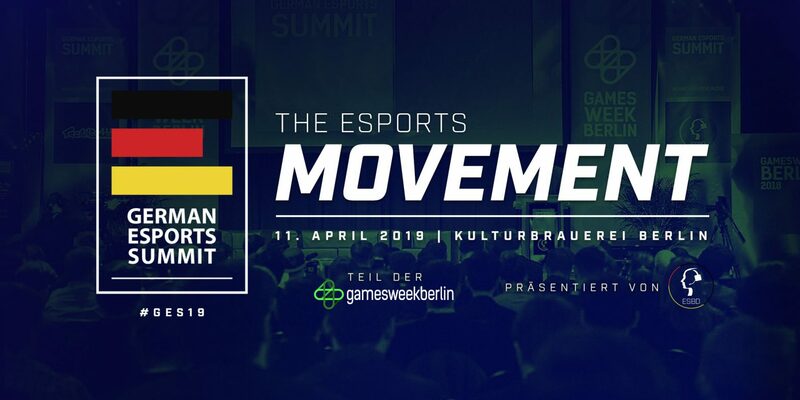 For the second time, the GERMAN ESPORTS SUMMIT will come to the heart of gamesweekberlin on April 11, 2019 in Berlin. The main conference of the German Esports Federation ESBD will push the debate about esports to the next level, taking “The Esports Movement” as the central topic of the event. The focus will be on esports as a digital sports movement that brings together millions of esports athletes competing all around the world. The declared aim of the event is to jointly develop this “esports movement” and to unfold its full potential, helping key stakeholders to develop esports on a societal scale. The #GES19 will bring together pro teams, amateur sports and esports clubs, sports associations, politics and policy makers, as well as science and business in amazing presentations, panels and workshops. In the unique atmosphere of the historic Kulturbrauerei attendees will be presented an extensive program in two conference tracks. Hosted with English and German conference parts, the GES19 emphasizes on the international character of esports and becomes a central networking hotspot for the European movement. ESBD – eSport-Bund Deutschland e.V. Let’s Keep in Touch, OK?